- Similar to many other African countries, Somaliland enjoyed traditional mechanisms of conflict resolution and peace-building processes led by Somali traditional elders in the past centuries. The elders had exercised comprehensive informal systems and regulations to address the community conflicts including clan conflicts, land disputes and livestock fights. Traditional elders practiced the Xeer-Law to govern the social issues, harmonize the conflicting interests of the community and building consensus to their differences. Sultans and Aqils particularly have been the main source of upholding reconciliation processes, bringing stabilization initiatives, maintaining peace and building safer lives to Somali community. They served as a connection bridge between the government and the communities and built sustainable relationships to collaborate their respective roles. After the collapse of Siyad Barre’s regime in 1991, Somaliland successfully passed different stages of conflicts and encountered a period of civil wars that led to the emergence of number of clan violence triggered by the lust for power and worldly resource allocations. During that episode, they actively engaged in the processes of peace-building, disarmament of rebel groups, re-building of government institutions and healing the trauma of civil wars. 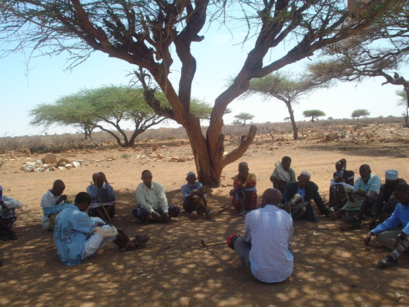 For instance, one of the most remembered tasks of Somaliland traditional elders was the holding of Somaliland peace forums from 1991 in an attempt to mark the return of Somaliland Independence from Somalia all the way to setting up the foundations of nationhood to total independent governance. They co-organized peace forums held in the six regions of Somaliland including Burao, Borama and Sahil peace-making conferences. Since then, they have been a point of reference to end any disagreements, and this has made Somaliland to effectively exercise traditional mechanisms of conflict resolution that have many times worked to create a lasting peace and harmony among the parties. Since the adoption of multi-party systems in 2002 according to the referendum of Somaliland Constitution on May 31, 2001, the role of traditional elders substantially changed as it marked the introduction of new formal governance systems. Somaliland tried to combine democracy and traditional governance structures and this formed the basis of the traditional elders’ confusion to adjust their role in order to maintain their significant leadership position within the community. Yahye Xanas, the Executive Director of Somaliland Journalists Association (SOLJA) argues that “…the leaders shifted their role to align themselves with the new system and the hybrid governance system brought a system of confusion to clearly create borders between the two systems”. They failed to keep their original role and dived to the politics, engaged in political campaigns, thereby creating a source of tensions to the community – as most of them have nepotistic in they styles and manners of leadership. They now place their interests to come before the interest of the public and the government. Nowadays, traditional elders talk about sensitive issues through media and spread wrong messages to their target audiences bringing divisions and destroying the peaceful cohabitation of Somaliland community. Also, a significant number of postgraduate students of University of Hargeisa opined that the involvement of traditional elders in the politics is a means of paving ways for political conflict as they bring divisions to their followers. 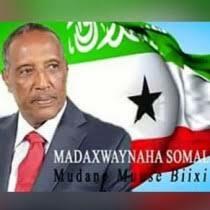 For instance during the 2017 Somaliland Presidential Election, some of the most prestigious Sultans publicly came out to open up long forgotten sensitive hidden issues that created political conflicts, and consequently put a long-lasting negative impact at both regional and district levels. Some of the traditional elders are official agents of political parties and as a result directly perform political party tasks, for example by mobilizing and indoctrinating voters to enable the party to win the election. 1. Politicization of membership: For the last two decades, many elders have been elected without considering their knowledge, experience and leadership qualities. Previously, elders were elected based on unbiased selection criteria which ensured that every leader meets the minimum requirements to traditionally lead that clan. However, nowadays most of the newly elected elders are wrongly position and have not come through the unanimous vote to represent their community. This has questioned the legitimacy and representation of the elders, and this is why most so called traditional elders act out of the norms and values of core Somali society. 2. Insufficient Knowledge: Majority of traditional leaders had rural background and didn’t come through the formal system of schooling. Hence, this makes hard for them to adjust to modern democratic governance systems, and become unable to cope with the desired changes. They remain seated with traditional way of dealing conflicts and are reluctant with democratic values and principles. 3. Economic Opportunities: the Ministry of Interior provides inadequate budget to finance the operations of the traditional leaders and their personal needs, so they always seek other sources of income to counterbalance their needs. They shape the politics in any manner that suits their interests and use politics as a source of money. This is where the new name of “Koofiyad Bacle” originated describing that they are money oriented rather than providing leadership to their followers. “Previously, when the traditional elders were elected, they were given number of livestock as source of wealth but now that habit is no longer common. Most of traditional elders are now involved in politics as economic shelter and as source of wealth.” said by one the Aqils who resides in Hargeisa. 4. Misrepresentation: About 98% of Somaliland politicians always use the traditional elders as a tool of passing their message to the community and engage them in wide and bastardized politics to serve their interests. In fact, Politicians finance the traditional leaders to mobilize the community to get acceptance and convince them on their ideologies and principles. Both ruling and opposition parties heavily rely on the traditional elders to convey their message, and even sometimes involve them in issues which could have otherwise been officially handled and solved by an institute under formal governance systems. In a nutshell, it seems that majority of traditional elders are a point of extremely standing with one party which has actually divided their followers. It is obvious that there are still few traditional elders who are working on the basis of values and norms of Somaliland community, however there are significant unpalatable changes when compared to the trend of traditional leadership in the past. The government institutions need to be strengthened to limit the role of elders in the decision making processes, and direct their operations toward peace, security, justice and development of the state. In addition, Somaliland traditional elders should be selected on the basis of defined leadership criteria to positively influence their followers and guide them toward the right direction. More so, the government should organize education programs of conflict resolution, peace and Justice to the traditional leaders and train them on their ideal roles and responsibilities to align the informal Justice system with that of formal system. Lastly, Elders must play within their mandate and desist from acting as politicians who negatively engage through dividing the community and fuelling conflicts. This would help the nation to create peaceful and just societies in accordance with Somaliland National Development Plan II and global Sustainable Development Goals. Mohamed Raygal, "MA Candidate in Governance and Leadership at University of Hargeisa".